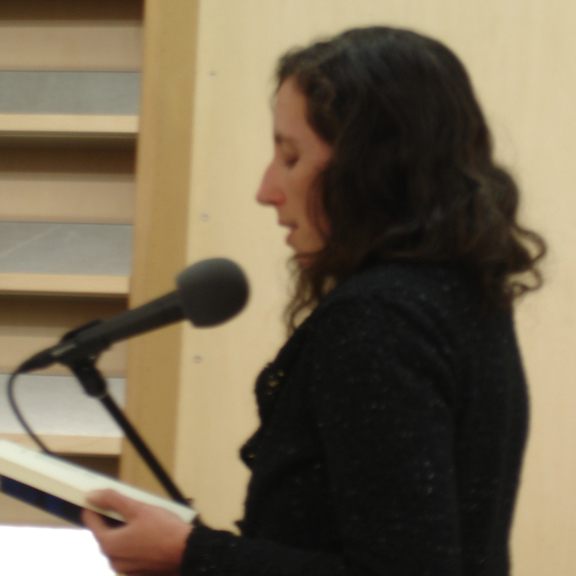 This reading celebrated the release of a new anthology from Fence called Not For Mothers Only. Laynie Browne is the recipient of the 2007 National Poetry Series award (chosen by Alice Notley) and the author of five full-length poetry collections. Most recent are Drawing of a Swan Before Memory (2005, University of Georgia Press, winner of the Contemporary Poetry Series), and Mermaid's Purse (Spuyten Duyvil, 2005). Forthcoming is Original Presence, from Shivistan Books (2006). Her other collections are Pollen Memory (2003, Tender Buttons), The Agency of Wind (Avec Books, 1999), and Rebecca Letters (Kelsey Street, 1996). She is also the author of Acts of Levitation, a novel (2002, Spuytenduyvil). Recent chapbooks include The Desires of Letters (gong editions, 2005), Webs of Argiope (Phylum Press, 2005) and a collaboration with Lee Ann Brown titled Nascent Toolbox (The Owl Press, 2004).